Pastor David L. Hansen: Get Rid of Your Crappy Pastor! I simply cannot count the number of complaints that I get to hear about other pastors. I've responded to such complaints many ways over the years. The simply smile and nod, without actually agreeing -- or conversely, the serious head shake. I've advised the individuals to go and talk to their pastor about their complaint. I've even tried to convince the complainer that their pastor really is pretty good. But enough of that. I know what most of these complainers want ... They want to get rid of their crappy pastor. The sooner the better. And so, without further ado, six steps to get rid of your crappy pastor and get a better pastor in your congregation. 1) Pray for your crappy pastor. I know, you really don't want to pray for your pastor right now, but give it a try. Pray for your pastor's preaching, for your pastor's life, even for the pastor's family. Prayer was one of those things that Jesus was kind of big on, so go ahead and give it a try. 2) Make sure your crappy pastor takes a day off. Really, you don't want your pastor doing all those things that annoy you any more than absolutely necessary. Make sure everyone knows when the pastor's day off is, and that doesn't call on that day. If there is a congregational event, or an emergency, or a wedding, or a funeral on the normal day off, let it be known that your pastor will be taking another day off to make up the time off. 3) Insist that your crappy pastor take every week of vacation in the contract. Many pastors leave unclaimed vacation days every year. Let's face it - you don't really want your pastor around anyway, so encourage him or her to take all of the allowed vacation. And make it easy decision for your crappy pastor to leave town! Line up volunteers to take care of all the work around the congregation so the pastor doesn't have to work extra hard before leaving and when coming home. Offer up your vacation home, or a gift card for a plane ticket out of town. Make sure everyone comes to worship, so the pastor doesn't feel guilty about leaving for a Sunday. 4) Continuing Education Events. Speaking of getting your crappy pastor out of town, by contract your pastor probably has continuing education time. Make sure that your pastor is attending lots of events with exciting speakers, great preachers, and innovative thinkers (you know, just so your pastor can see the ways in which he or she doesn't measure up). While you're at it, go ahead and increase the continuing education budget - make sure there is no barrier to your pastor getting away from your congregation and to these events. 5) Take over the tasks with which your pastor struggles. 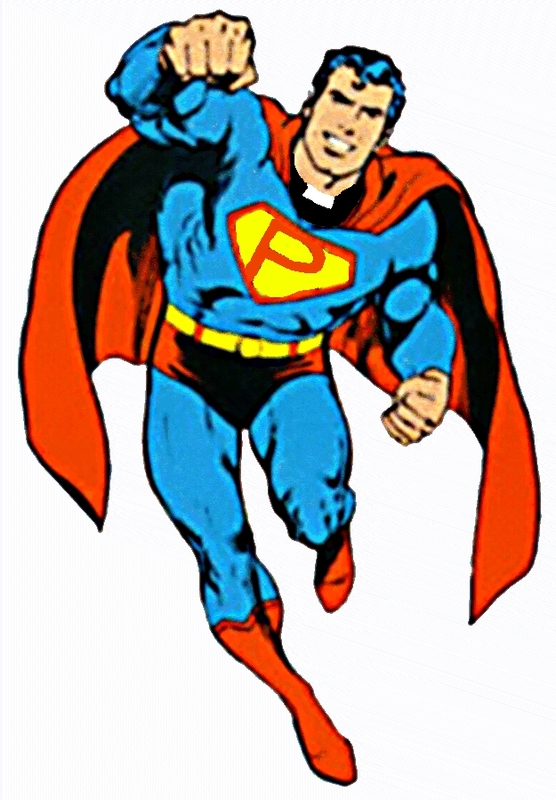 We all know that pastors should be good at everything in the parish - from administration to preaching, from visitation with the elderly to youth events. Chances are, your crappy pastor has some places where there are struggles. Hire an administrative assistant. Get the parents and other volunteers to coordinate and host the youth events. Get a group of volunteers together to visit with homebound members. There are all sorts of ways to make sure that your crappy pastor doesn't mess up these tasks that he or she is already struggling with. 6) Encourage your pastor to spend more time in prayer and reading. Now that you have freed up your pastor from all those tasks that were the worst trouble points, there is all sorts of extra time. You don't want him or her to jump right back into those tasks and mess them up, do you? Encourage them to go and read, or spend time with other local pastors, or spend more time intentionally in prayer. There you go! It's foolproof! Pray for your pastor, make sure your crappy pastor takes all of the allotted vacation and days off, send your pastor to amazing continuing education events, recruit volunteers (or hire other staff) to fill in your pastor's weaknesses, and make sure your pastor is spending time praying, reading, and dreaming. Yup, that's it. Do those things, and I guarantee you will stop complaining about your crappy pastor. You will hear better sermons. People will feel more ministered to. Exciting ideas will start to come from your council meetings.